Christian Gottlieb Vilhelm Bissen (5 August 1836 – 20 April 1913) was a Danish sculptor, son of Herman Wilhelm Bissen. He is mainly known for a number of statues around Copenhagen, including the equestrian statue of Absalon on Højbro Plads and the Stork Fountain on the adjoining Amagertorv. He was also a professor at the Royal Danish Academy of Fine Arts with great influence on the next generation of Danish sculptors and for a while served as its director. Vilhelm Bissen was born in 1830 as the son of Herman Wilhelm Bissen, one of the leading Danish sculptors of his day. Young Bissen received training in his father's studio from an early age and studied at the Royal Danish Academy of Fine Arts from 1853 to 1857, then in Rome between 1857 and 1863 and finally in Carrara from 1866 to 1867 where he studied marble techniques. Upon his father's death in 1868, he returned to Denmark to continue his workshop and complete his ongoing projects. These included most notably the equestrian statue of King Frederik VII for the plaza in front of Christiansborg Palace (1873). His own works included a number of statues of prominent Danes for various locations around Copenhagen, including N. F. S. Grundtvig at the Marble Church, Christian IV at Nyboder and Queen Consort Caroline Amalie in Rosenborg Castle Garden. He was also commissioned to make two statues of Absalon at the septicentennial of his death in 1901, an equestrian statue for Højbro Plads and another statue for the facade of the new Copenhagen City Hall which was under construction at the time. He also produced a large number of animal sculptures of which the birds on the Stork Fountain on Amagertorv are the most famous. Bissen was trained in the Neoclassical tradition from Bertel Thorvaldsen but after a stay in Paris around 1880, he was influenced by Naturalism. With the equestrian statue of Absalon he turned to Neo-romanticism. ^ a b c d "Vilhelm Bissen". Gyldendal. Retrieved 2010-07-21. The Netherlands Institute for Art History or RKD is located in The Hague and is home to the largest art history center in the world. The center specializes in documentation and books on Western art from the late Middle Ages until modern times, all of this is open to the public, and much of it has been digitized and is available on their website. The main goal of the bureau is to collect, via the available databases, the visitor can gain insight into archival evidence on the lives of many artists of past centuries. The library owns approximately 450,000 titles, of which ca.150,000 are auction catalogs, there are ca.3,000 magazines, of which 600 are currently running subscriptions. Though most of the text is in Dutch, the record format includes a link to library entries and images of known works. The RKD manages the Dutch version of the Art and Architecture Thesaurus, the original version is an initiative of the Getty Research Institute in Los Angeles, California. Their bequest formed the basis for both the art collection and the library, which is now housed in the Koninklijke Bibliotheek. Though not all of the holdings have been digitised, much of its metadata is accessible online. The website itself is available in both a Dutch and an English user interface, in the artist database RKDartists, each artist is assigned a record number. To reference an artist page directly, use the code listed at the bottom of the record, usually of the form, for example, the artist record number for Salvador Dalí is 19752, so his RKD artist page can be referenced. In the images database RKDimages, each artwork is assigned a record number, to reference an artwork page directly, use the code listed at the bottom of the record, usually of the form, https, //rkd. nl/en/explore/images/ followed by the artworks record number. For example, the record number for The Night Watch is 3063. The Art and Architecture Thesaurus assigns a record for each term, they are used in the databases and the databases can be searched for terms. 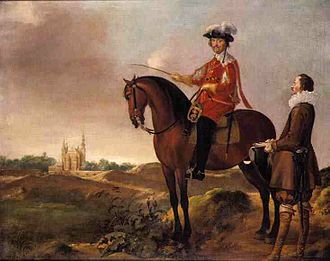 For example, the painting called The Night Watch is a militia painting, the thesaurus is a set of general terms, but the RKD contains a database for an alternate form of describing artworks, that today is mostly filled with biblical references. Realism in the arts is the attempt to represent subject matter truthfully, without artificiality and avoiding artistic conventions, implausible and supernatural elements. Realism has been prevalent in the arts at many periods, and is in part a matter of technique and training. In the visual arts, illusionistic realism is the depiction of lifeforms, perspective. Realist works of art may emphasize the mundane, ugly or sordid, such as works of realism, regionalism. There have been various movements in the arts, such as the opera style of verismo, literary realism, theatrical realism. The realism art movement in painting began in France in the 1850s, the realist painters rejected Romanticism, which had come to dominate French literature and art, with roots in the late 18th century. Realism is the precise and accurate representation in art of the appearance of scenes. Realism in this sense is called naturalism, mimesis or illusionism, realistic art was created in many periods, and it is in large part a matter of technique and training, and the avoidance of stylization. It becomes especially marked in European painting in the Early Netherlandish painting of Jan van Eyck, however such realism is often used to depict, for example, angels with wings, which were not things the artists had ever seen in real life. It is the choice and treatment of matter that defines Realism as a movement in painting. The development of increasingly accurate representation of the appearances of things has a long history in art. It includes elements such as the depiction of the anatomy of humans and animals, of perspective and effects of distance. Ancient Greek art is recognised as having made great progress in the representation of anatomy. Pliny the Elders famous story of birds pecking at grapes painted by Zeuxis in the 5th century BC may well be a legend, roman portraiture, when not under too much Greek influence, shows a greater commitment to a truthful depiction of its subjects. The art of Late Antiquity famously rejected illusionism for expressive force, scientific methods of representing perspective were developed in Italy and gradually spread across Europe, and accuracy in anatomy rediscovered under the influence of classical art. It has been used with reference to late-19th-century composers such as Richard Wagner particularly by Carl Dahlhaus who describes his music as a late flowering of romanticism in a positivist age. He regards it as synonymous with the age of Wagner, from about 1850 until 1890—the start of the era of modernism, whose leading early representatives were Richard Strauss and Gustav Mahler. Neo-romanticism as well as Romanticism is considered in opposition to naturalism—indeed, so far as music is concerned, in the period following German unification in 1871, naturalism rejected Romantic literature as a misleading, idealistic distortion of reality. Naturalism in turn came to be regarded as incapable of filling the void of modern existence, neo-romanticism was proposed as an alternative label for the group of German composers identified with the short-lived Neue Einfachheit movement in the late 1970s and early 1980s. Along with other such as new tonality, this term has been criticised for lack of precision because of the diversity among these composers. In British art history, the term neo-romanticism is applied to an affiliated school of landscape painting that emerged around 1930. It was first labeled in March 1942 by the critic Raymond Mortimer in the New Statesman and this movement was motivated in part as a response to the threat of invasion during World War II. Artists particularly associated with the initiation of this movement included Paul Nash, John Piper, Henry Moore, Ivon Hitchens, a younger generation included John Minton, Michael Ayrton, John Craxton, Keith Vaughan, Robert Colquhoun, and Robert MacBryde. The aesthetic philosophy of Arthur Schopenhauer and Friedrich Nietzsche has contributed greatly to neo-romantic thinking, Dictionary of Art,34 volumes, edited by Jane Turner. The Concise Oxford Dictionary of Art Terms and New York, Oxford University Press. Wie neu war die Neue Einfachheit, the Oxford Companion to Western Art, edited by Hugh Brigstocke. Oxford and New York, Oxford University Press, in The Cambridge Companion to German Romanticism, edited by Nicholas Saul, 257–80. Carrara is a city and comune in the Province of Massa and Carrara, notable for the white or blue-grey marble quarried there. It is on the Carrione River, some 100 kilometres west-northwest of Florence and its motto is Fortitudo mea in rota. There were known settlements in the area as early as the 9th century BC, the current town originated from the borough built to house workers in the marble quarries created by the Romans after their conquest of Liguria in the early 2nd century BC. Carrara has been linked with the process of quarrying and carving marble since the Roman Age, Marble was exported from the nearby harbour of Luni at the mouth of river Magra. The Bishops acquired it again in 1230, their ending in 1313. Later it was acquired by Gian Galeazzo Visconti of Milan and Massa formed the Duchy of Massa and Carrara from the 15th to the 19th century. Under the last Malaspina, Maria Teresa, who had married Ercole III dEste, after the short Napoleonic rule of Elisa Bonaparte, it was given back to Modena. During the unification of Italy age, Carrara was the seat of a revolt led by Domenico Cucchiari. 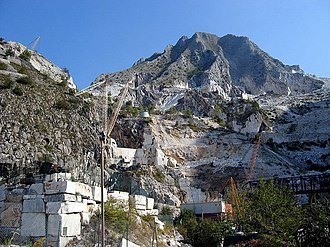 At the end of the 19th century Carrara became the cradle of anarchism in Italy, the quarry workers, including the stone carvers, had radical beliefs that set them apart from others. Ideas from outside the city began to influence the Carrarese and general radicalism became part of the heritage of the stone carvers. According to a New York Times article of 1894 many violent revolutionists who had expelled from Belgium and Switzerland went to Carrara in 1885. 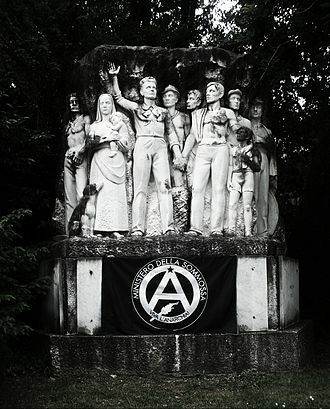 Carrara has remained a hotbed of anarchism in Italy, with several organizations located openly in the city. The Anarchist marble workers were the force behind organising labour in the quarries. They were the protagonists of the Lunigiana revolt in January 1894. In 1929, the municipalities of Carrara and Montignoso were merged in a single municipality, in 1945 the previous situation was restored. Carrara is the birthplace of the International Federation of Anarchists, formed in 1968, as a titular Duke of Modena, the current holder of the title of Prince of Carrara would be Prince Lorenz of Belgium, Archduke of Austria-Este. Nyboder is a historic row house district of former Naval barracks in Copenhagen, Denmark. It was planned and first built by Christian IV to accommodate a need for housing for the personnel of the rapidly growing Royal Danish Navy and their families during that time. Nyboder is today very much associated with their colour and Nyboder yellow is in Danish often used as a generic term to refer to their exact hue of yellow. However, the colour of the development was red and white. Under Christian IV the Royal Danish Navy grew rapidly and there was an urgent need for accommodation for its personnel. 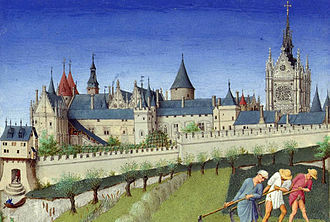 The new development was planned on land outside Copenhagen previously acquired by the king with the intention to expand the city northwards. This had still not happened but Saint Annes Post, to develop into Kastellet, had already constructed a little further north. Construction of Nyboder was commenced in 1631, the area was laid out around two main streets radiating from a planned square which was never established. The rows were oriented perpendicularly to these streets. The architects assisting the King were Hans van Steenwinckel the Younger and Leonhard Blasius, Christian IVs Nyboder was completed around 1641. In 1647, one year before Christian IVs death, Nyboder was definitively absorbed by the city when the Eastern City Gate is moved. Just north of Nyboder lay a piece of undevelopped land known as Greenland, on 16 December 1658 a gunpowder magazine just north of Nyboder exploded, damaging or demolishing many houses and causing numerous casualties. In 1668 Copenhagens gallows were moved from its previous location, at the site where Kongens Nytorv would be out a few years later. In 1677, Nyboder saw another bleak neighbour when the Stocks House was built a little to the south, from its early days, the Nyboder area included a guardhouse which was replaced by a new building in the 1780s. It had a bell which was used to gather people in the event of a military attack or fire. The building houses the Nyboder barracks own guard and contained a jail, when the Frederiksholm islet is created by a series of Land reclamation, the intention is to use it for new naval barracks but again the plans are not carried out. Copenhagen City Hall is the headquarters of the municipal council as well as the Lord mayor of the Copenhagen Municipality, Denmark. The building is situated on The City Hall Square in central Copenhagen, the current building was inaugurated in 1905. It was designed by the architect Martin Nyrop in the National Romantic style and it is dominated by its richly ornamented front, the gilded statue of Absalon just above the balcony and the tall, slim clock tower. The latter is at 105.6 metres one of the tallest buildings in the low city of Copenhagen. In addition to the clock, the City Hall houses Jens Olsens World Clock. The current city hall was designed by architect Martin Nyrop and the design for the building was inspired by the city hall of Siena, construction began in 1892 and the hall was opened on September 12,1905. Before the city moved to its present location, it was situated at Gammeltorv/Nytorv. The first city hall was in use from about 1479 until it burned down in the great Copenhagen fire of 1728, the second city hall was built in 1728 and was designed by J. C.
Frederiks Church, popularly known as The Marble Church for its rococo architecture, is an Evangelical Lutheran church in Copenhagen, Denmark. The church forms the point of the Frederiksstaden district, it is located due west of Amalienborg Palace. Fredericks Church has the largest church dome in Scandinavia with a span of 31m, the dome rests on 12 columns. The inspiration was probably St. Peters Basilica in Rome, the foundation stone was set by king Frederick V on October 31,1749, but the construction was slowed by budget cuts and the death of Eigtved in 1754. In 1770, the plans for the church were abandoned by Johann Friedrich Struensee. The church was incomplete and, in spite of several initiatives to complete it. The deal was at the highly controversial. On 25 January 1877, a case was brought by the Folketing at the Court of Impeachment, tietgen got Ferdinand Meldahl to design the church in its final form and financed its construction. Due to financial restrictions, the plans for the church to be built almost entirely from marble were discarded. Danish art is the visual arts produced in Denmark or by Danish artists. It goes back thousands of years with significant artifacts from the 2nd millennium BC, for many early periods, it is usually considered as part of the wider Nordic art of Scandinavia. Art from what is today Denmark forms part of the art of the Nordic Bronze Age, Danish medieval painting is almost entirely known from church frescos such as those from the 16th-century artist known as the Elmelunde Master. The Reformation greatly disrupted Danish artistic traditions, and left the body of painters and sculptors without large markets. Thereafter for an extended period art in Denmark was either imported from Germany, from the late 18th century on, the situation changed radically and beginning with the Danish Golden Age, a distinct tradition of Danish art has continued to flourish until today. Due to generous art subsidies, contemporary Danish art has a big production per capita, lurs are a distinctive type of giant curving Bronze Age horn, of which 35 of the 53 known examples have been found in bogs in Denmark, very often in pairs. 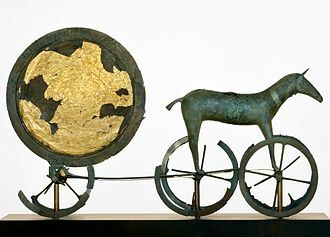 They are normally made of bronze, and often decorated, a possibly alien find in Denmark is the Gundestrup cauldron, a richly decorated silver vessel, thought to date to the 1st century BC. It was found in 1891 in a bog near the hamlet of Gundestrup in north-eastern Jutland. The silversmithing of the plates is very skilled, the bowl,70 cm across, was beaten from a single ingot. 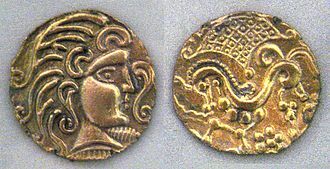 Now in the National Museum of Denmark, it is the largest known example of European silver work from the period, the style and workmanship suggest Thracian origin, while the imagery seems Celtic, so it may not reflect local styles. 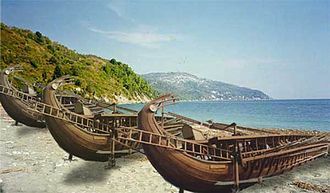 Danish sites have given their names to two of the six main styles of Viking or Norse art, Jelling style and its successor Mammen style, only one Danish ship burial is known, from Ladbyskibet. The images on the runestones at Jelling are probably the best known Danish works of the period, church wall paintings are to be found in some 600 churches across Denmark, probably representing the highest concentration of surviving church murals anywhere in the world. Johann Joachim Winckelmann, often called "the father of archaeology"
The area around Carrara, seen from an aircraft flying at 10,000 metres. 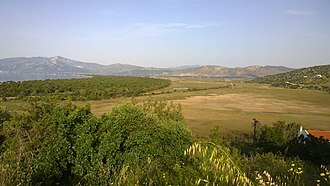 The town is at the top of the picture, nearest to the marble quarries which are the white markings on the mountains. The Alberto Meschi monument in Carrara. 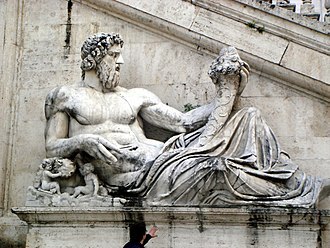 The Equestrian Statue of Marcus Aurelius on the Capitoline Hill was the prototype for Renaissance equestrian sculptures. This horse head from Suasa was once part of a large equestrian monument. ca. 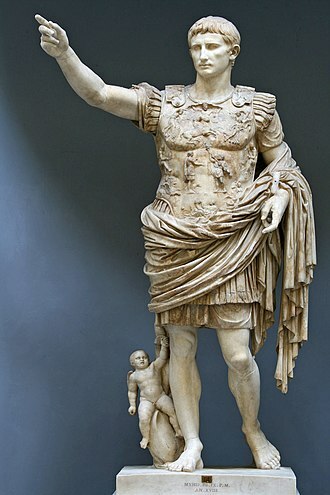 40 AD. Walters Art Museum, Baltimore. Contemporary painting by Fritz Westphal of Thorvaldsen's reception as a national hero on his return to Denmark in 1838. Anointing of Christian VIII and Queen Caroline Amalie on 28 June 1840 in Frederiksborg Palace Chapel. Oil painting by Joseph-Désirée Court (1841). On the 40th anniversary of his reign, the King of Sweden toasts the city's Mayor in front of Stockholm Palace.